happy baby POSTNATAL yoga instructor, Rebecca Hackett shares her story about how finding her tribe led to the discovery of her passion and her healing, as well as the benefits of postnatal therapeutic yoga. 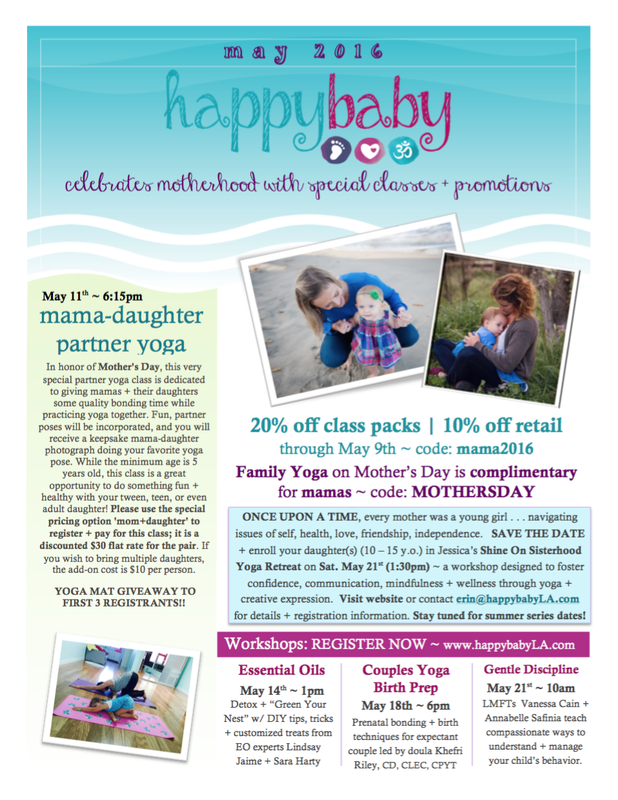 Join Rebecca for her YOGA MAMA SUPPORT CIRCLE : a postnatal therapeutic series (6 weeks) at happy baby, offered Wednesdays (2:30pm) + Fridays (2pm) beginning in October. Pre-registration required. why would i want a birth doula? nicole (aka. mrs. dancing moon), birth doula + holistic wellness expert, explains what it means to be a DOULA and how/why a doula's services are so valuable to expecting parents during pregnancy and childbirth. First, we want to extend a BIG thank you to everyone who helped us celebrate our ONE-year anniversary last week! Our turnout was much larger than expected, so much so casual passerby were curious about happy baby and our celebration! We hope everyone that joined us had a chance to check out our fitness gear sidewalk sale. The coordinating Mommy and Me tank tops and leggings by Chocolate Milke are designed by a local mama, Angela Lanahan, and made of organic recycled bamboo. 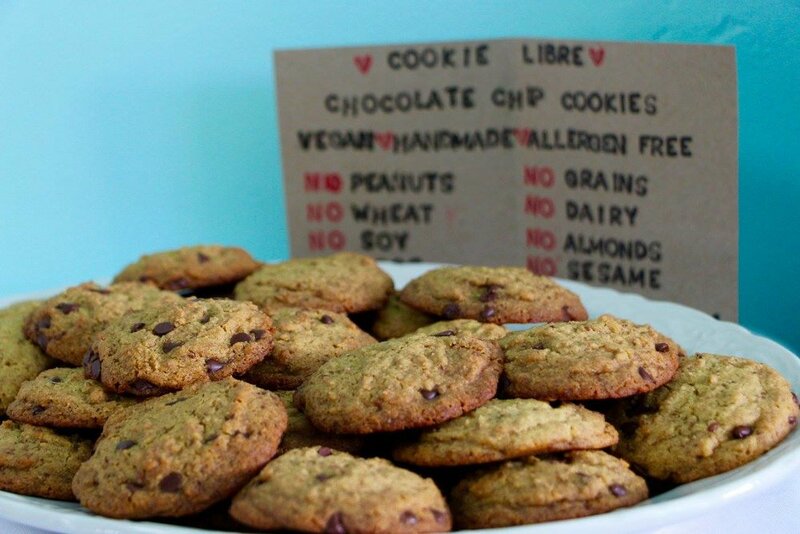 (organic, made in America, etc). Our instructors love them, and we think you will too! If you missed them at the celebration, they are available for purchase at happy baby and custom orders are an option too. 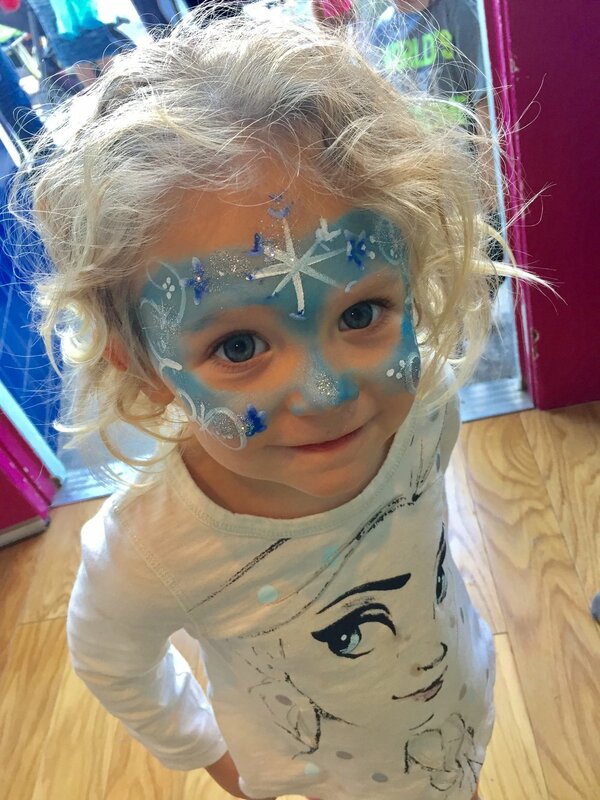 The kids were having so much fun at our face painting station with Sarah Fairy. She had a steady stream of super hero’s and princesses all afternoon. After a few moments with Sarah, the kids were over the moon and showing off their designs to their new friends. Thank you for joining us, Sarah, we ADORE you! You helped add a bit of sparkle and a touch of magic to the afternoon. 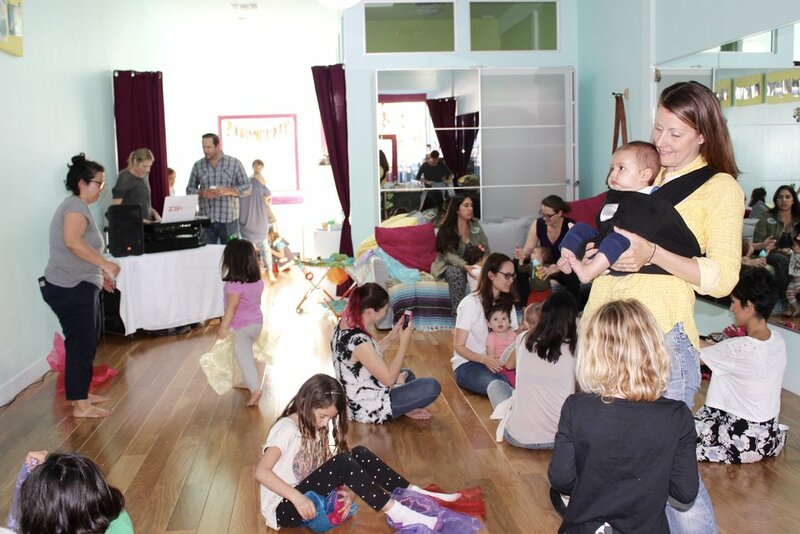 The studio itself was filled with mommies, daddies, and kids. Everyone was dancing, laughing, and socializing. 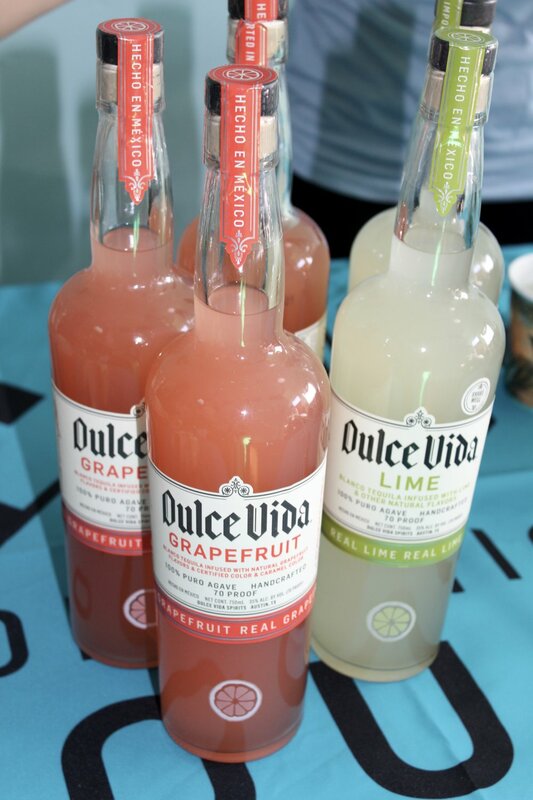 It filled our hearts with joy to see toddlers playing drums, older kids interacting and dancing with colorful scarves, and parents sitting casually amidst it all getting to know each other (while sipping on tasty libations provided by Dulce Vida Organic Tequila)! Last but not least, we want to congratulate our social media raffle winners! Several families won one of the following: FREE happy baby classes, a Summer Infant Pop N’ Jump, Erbaviva personal care products, Happy Family Organics gift cards, or a Blue Butterfly gift card! Thank you to everyone who participated! If you don’t already, please follow us on Instagram and/or Facebook (@happybabyLA) and continue to post/tag us in your photos at the studio (#happybabyLA). 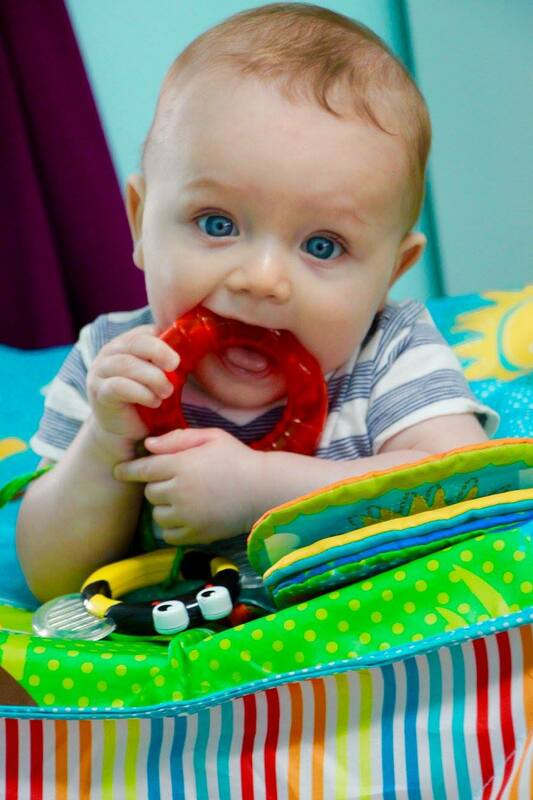 happy baby is a one-stop-shop for mommies, daddies, babies, kids, toddlers, and moms-to-be. We know that when it comes to yoga + wellness, one size does not fit all. That is why we offer a wide variety of classes throughout the week. 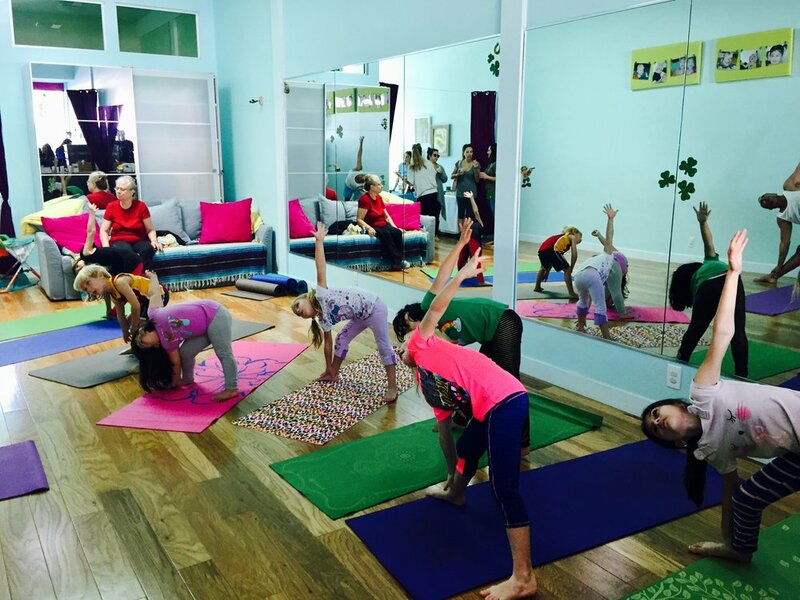 From our yoga classes to our support groups, we offer a variety of styles, and times so that both stay-at-home parents and working parents can enjoy our services. 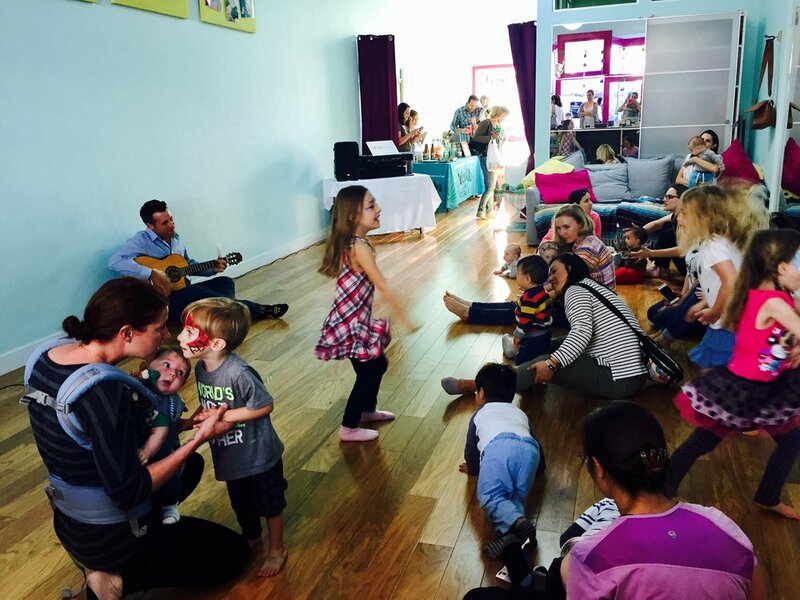 Contact us today and join us for a prenatal, postnatal, or music class with your babies, toddlers, and preschoolers. 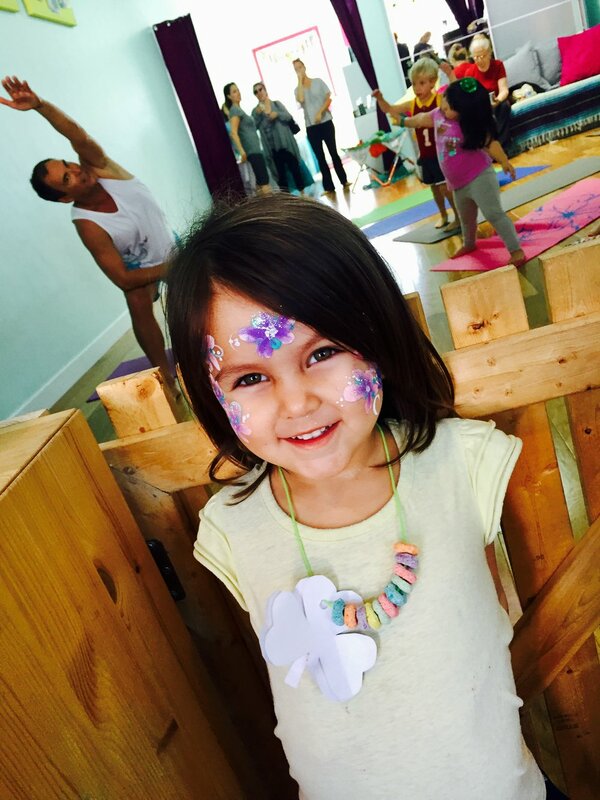 We also have fun yoga and dance classes for our toddlers and older kids. We are the first ever studio that gives moms, dads (and kids!) a community for building lasting relationships, through enriching services + supportive resources, while navigating pregnancy + parenthood because it really does take a village!